Heading to AEJMC or NCA? How to Get Around DC and What to See! The annual conference of the Association for Education in Journalism and Mass Communication, aka AEJMC, starts this Thursday in Washington, DC! You may not know it, but I grew up in Suburban Washington (near the Dulles airport) and have spent a good amount of time in that wonderful city. So I thought I’d mention a few great things to help you get the most of your visit to my favorite city! Many people think the Dulles Airport (IAD) is in the city. It is not. In fact, it is a good 45 minute drive from downtown Washington in Dulles, Virginia. If you are not getting a rental car or catching a ride from a colleague, your best bet (that is, your least expensive option) is probably the Metro bus system. That is because there is no Metro train from the airport to the city. Instead, you need to ride the Metro bus to the Metro train (aka, subway) station. Then, board the Metro train to get to the conference hotel. Fortunately, the bus system is pretty great and it isn’t too hard. Here is all the info you should need to get from IAD to a DC metro train stop. Flying into Reagan National Airport? You can take the Metro train right into Washington DC. No, you are not in DC yet! You are actually in Virginia across the Potomac river. There are great views of the Lincoln Memorial and the Washington Monument from this side of the river. First off, DC has a great bicycle program called Capital Bikeshare. You can rent a bike for as little as 1 day! Kiosks for picking up and dropping off bikes are located throughout the city. Purchasing a fare card – When you enter the train station, there are kiosks where you buy your ticket. You can buy a paper card or a Smart card (discussed below). Fees are based on the time of day and distance traveled – that is, you buy a ticket with enough $ on it to get you where you are going. A chart above the kiosk will show you how much your ticket is ONE WAY. Peek hours cost more – so check the time of day. The kiosks accept cash, debit, and credit cards. Each person must have their own fare card. After purchasing your fare, slide your fare card / or swipe your Smart Trip card to gain access to the station. (Just watch what others are doing, it is straightforward). Keep your fare card/ Smart trip card. You will need it to swipe when you get off the Metro to exit the station! Tip: DO NOT put your paper card or your smart trip card near a credit card in your wallet. The magnetic strip on the credit card often “erases” your fare card, causing you hassle because the exit station will not read it. It will think your card is empty. If this does happen, talk to the workers at the exit station and they usually are kind and understanding. This happens all the time. If you are unlucky, they may make you buy a new fare card for the distance you have traveled. Paper Fare Card – When you buy a paper fare card you can put as much money on it as you like, up to a limit. When you exit the station, the amount you used for that trip will be reduced. And the leftover money can be used to ride the metro again. This saves you from having to buy a paper fare card every time you travel. This cute video shows you how to use a paper fare card, and ride the metro! Smart Trip Card – Smart trip cards are plastic cards that cost $10 – that covers the $5 for the card, and $5 balance on the card to be used for riding the metro. You can add up to $300. However, each ride with a Smart Trip Card costs $1 less ($2 roundtrip) than a paper fare card. If you plan to ride the metro more than 5 times ONE WAY, it is worth it to buy a Smart Trip card. Here’s a great video on how to buy a Smart Trip card and what you will need to do! Here’s another great video on using Smart Trip. The metro system contains multiple lines, each indicated by a color. So changing from one line to another is sometimes necessary at interchange stations. Also, in rare cases you may need to ride a Metro bus to get where your going as the Metro train system is somewhat limited. The great news is, you can use the online Trip Planner to calculate the time, cost, and route needed to get from here to there including transfers between train lines and busses. Like any subway system, maps are easy to find in the stations and on the trains. The Metro offers a great “Visitors Kit” with a PDF with maps, fare prices, etc. But if you own a smart phone, there’s a better way to get around the DC metro. DC Metro Transit for Android and iTrans DC Metro for iPhone are both free and highly reviewed. 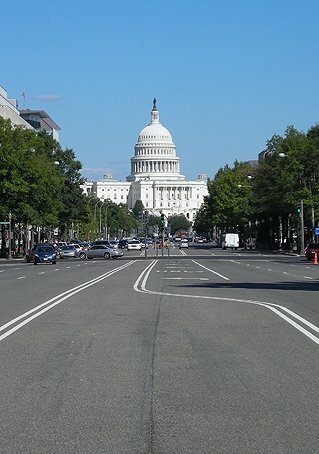 FREE Places You Must See in DC! The best thing about DC is that you don’t have to spend much money to truly enjoy it. The National Mall and Memorial Park Iconic Monuments and Buildings – If there is one thing I recommend, it is to spend the day on the National Mall seeing the icons of DC: The Capitol, the White House, the Washington, Jefferson, Lincoln Monuments, the World War 2, Vietnam, and Korean War memorials, and the new Martin Luther King Jr. Memorial. The National Park Service offers this great map of the area. It is a bit of a walk from one end to the other (the Capitol to the Lincoln Memorial). But well worth it! Bring water as there is little shade on a hot day! Smithsonian Museums – These museums are FREE!! 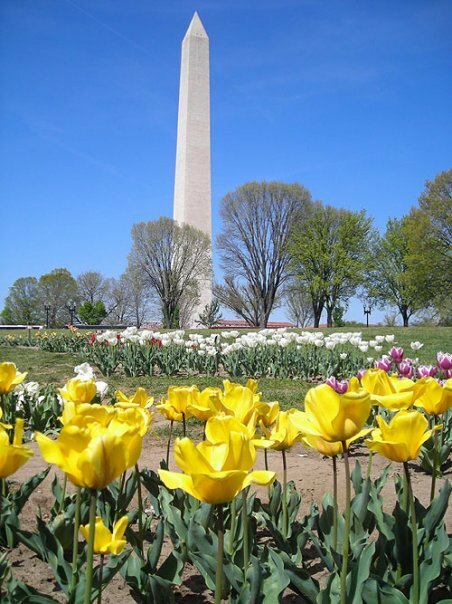 and are located near the national mall (not a shopping mall, but a big field between the Washington Monument and the Capitol) There are a lot to choose from (19 in total! ), each with its own focus such as the American History Museam, Natural History Museam, etc. My favorite growing up was always the Air and Space Museum! Other Great Things to See and Do! 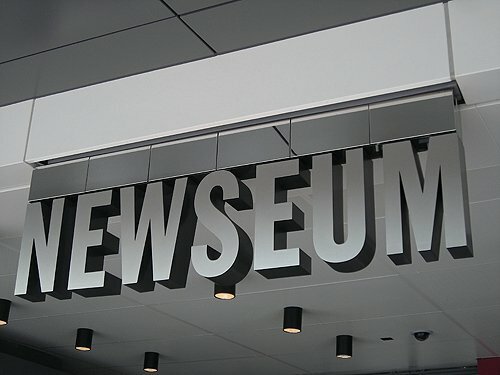 The Newseum – Any media scholar or fan should see this! The International Spy Museum – For all you Cold War buffs! The National Museum of the American Indian – a truly amazing experience and a wonderful history of the Native Americans. Like to Shop? Upscale dining? Historic Georgetown is the place to go. Info on getting to Georgetown. Night Life? Georgetown is great for nightlife. Adams Morgan is another area with a lot of night life and has a bit more of a party scene. But there are bars, clubs, etc., here. If you are looking for something more low key, I would avoid Adams Morgan. Music – The 9:30 club is a famous club for all sorts of music! Sports – the Washington Nationals have a few games this upcoming weekend. I hope you found this post helpful in making the most out of Washington DC! If you did, please share it on Twitter, Facebook, etc. Got advice, tips, or places you suggest people see? Please drop a comment below! Masahiro Yamamoto, Francis Dalisay, and I are presenting our paper titled “Social Media and Mobiles: Examining the Moderating Role of Online Political Expression in Political Participation” Thursday, August 8th 1:30-3pm in room 071. This will be my first time participating in a “high-density session!” The theme is “social media, attitudes, and behaviors.” Hope to see you at AEJMC! Note: This post is NOT affiliated with AEJMC in any way.